For some time now, Andre Lorent Eye Cream has caught my attention to write a review on since I had already written on their face cream. In general, Andre Lorent products and, specifically these two ones which I have been digging more into, contain some good natural and organic ingredients, are free from synthetic fillers and users are happy with the texture, grade of absorption and most importantly level of effectiveness of these two products. So, I decided to write on their eye cream as well to clear out any doubts you have in your mind about this product. Special ingredients are Resveratrol and SepiLift. Free from parabens, petrochemicals and SLS. Apart from deeply hydrating the eyes area, Andre Lorent eye cream promises to reduce wrinkles dramatically over time due to their clinically proven anti wrinkle ingredient which is called SepiLift and is successfully combined with Resveratrol, a strong antioxidant. According to the company, what SepiLift does is to firm the skin tissues, protect the fibers from the cells breaking down resulting to wrinkles, and prevent the formation of new wrinkles and fine lines as much as possible. Other positive results of this eye cream include the reduction of crow’s feet, laugh lines, fine lines and sagginess. This is an all day and night deep moisturizer which makes the skin area round the eyes look rejuvenated, more fresh and plump. The cream is very gentle and does not irritate even delicate types of skin. Resveratrol is an active natural antioxidant which researches have shown that has a strong anti aging function since it is able to promote the production of those proteins that are responsible for the longevity of the cells. Resveratrol is combined in this natural formula with another anti aging ingredient, called SepiLift, which, to tell you the truth, I had never heard before. So, after some googling, dermatologytimes.modernmedicine.com came to the rescue and provided me with some enlightening details. What I found out was that SepiLift is a new anti aging ingredient with its full name being SepiLift DPHP. It is a plant derived component which actually falls under the category of peptides, just like Matrixyl. Still, even though Matrixyl contains five amino acids and SepiLift one, both of them promote collagen production. The above two ingredients, Resveratrol and SepiLift, are the main most powerful anti aging ingredients in this natural eye cream but still there are some other natural ingredients that are well known for their moisturizing, soothing and anti inflammatory properties such as jojoba oil, organic aloe vera leaf juice, shea butter and others. In the end of the list, another ingredient almost skipped my attention and that was vitamin E (Tocopherol) which is probably contained in low concentrations since it appears in the end of the list and is not mentioned in the company’s product promotion at all. What do the Andre Lorent Eye Cream Reviews Say? Users are very pleased with the hydrating effect of this cream, making the eyes area look refreshed and less tired. An advantage which most of them mention is the silky smooth texture of the product which absorbs nicely and does not feel heavy or sticky. 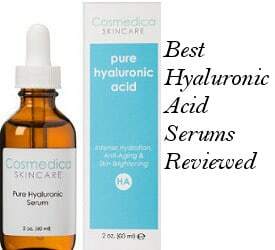 It does not also cause irritation even on sensitive types of skin or cause any breakouts according to people’s claims. People are glad with the quantity of product in the jar although few mentioned that they would prefer the cream to be contained in a bottle instead of a jar. Still, they say that a little goes a long way and they are very happy with how long this cream lasts relating to other eye creams. 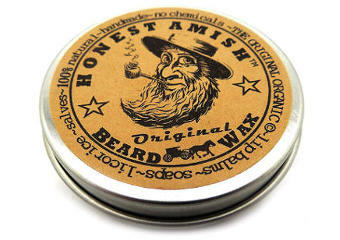 One more thing which is considered as a plus is the fact that it is odorless. Users experience a softening of their fine lines around their eyes and even mouth but they do not seem to notice any dramatic change in their wrinkles appearance. 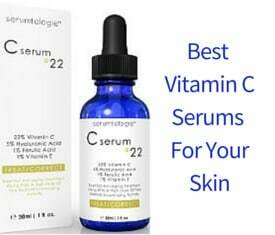 Some of them have also seen a tightening and plumping effect on their skin. After reviewing Andre Lorent eye cream, I would say that this is a natural and organic eye cream with some good quality ingredients. It is free of synthetic ingredients which can irritate sensitive skin and the texture makes its application a pleasant experience. It is a good natural all day and night eye moisturizer but it does not seem to be drastically effective when it comes to wrinkles. 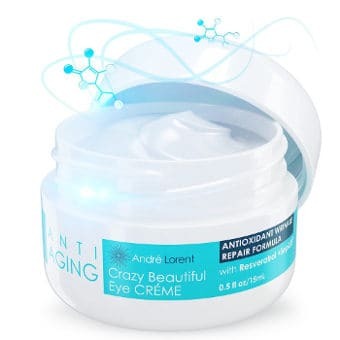 So, if you are mainly interested in the product’s anti aging properties, you might need to look for something stronger but if you already have an anti aging product and you are looking for a good moisturizer, then Andre Lorent eye cream can do the job quite well.